South Africa can’t afford to be left behind in the worldwide migration to Industry 4.0. 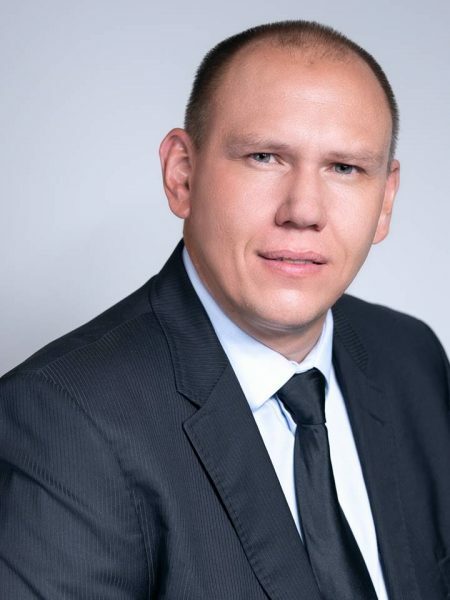 Rockwell Automation Sub-Saharan Africa Managing Director Henry Craukamp discusses some of the concerns facing our industries in 2019 in this opinion piece on industrial digitisation. Industry 4.0 and the 4th Industrial Revolution have been amongst the biggest buzzwords in industry for many years now. Now is the time to put plans in place to help organisations embrace and adopt this digital transformation of their traditional manufacturing and production methodologies. The merging of the physical and the virtual world in industry is creating new cyber-physical production systems (CPPSs), where a multitude of smart machines communicate with each other in real time, sharing production data, machine performance, potential systems errors, current stock level, order inventories, and so forth. Such smart manufacturing is a growing requirement for industries to remain competitive across global markets, while also enabling us to meet increasing demands for a whole range of goods amongst a growing world population, from pharmaceutical products, food and beverages to the demand for natural resources. While across the world, digitalisation is some way off from realising even a moderate level of its potential in industry – with even highly industrialised economies such as the USA estimated to have reached between just 15-20% of its potential – enterprises that have digitised their production are setting the benchmark for new standards of productivity, quality, reliability and agility. Conversely, organisations that delay this production journey stand the risk of ultimately being left behind. As the industry collective, we need to do all that we can to ensure steps are taken to secure our manufacturing base for the future. In a country like South Africa – which in this respect is more follower than leader in this world-wide digital migration – should our industry and . . .
A legal expert has cautioned employers that they can still be found guilty of committing an unfair Labour practice, despite a recent judgement by the Constitutional Court, easing the burden on employers when dealing with precautionary suspension. Last month the Constitutional Court upheld a judgement passed by the Labour Court which states that an employer is under no obligation to provide an employee with the opportunity to offer representation before placing them under precautionary suspension. But Advocate Tertius Wessels, Legal Director from Strata-g Labour Solutions, explains employers can still fall foul to violations. “The recent judgement by the Constitutional Court clarified what had been murky waters for employers and employees engaged in precautionary suspension. Employers will often consider it necessary to suspend an employee, on full pay, pending the outcome of an investigation into alleged misconduct and/or pending the outcome of a disciplinary hearing. In terms of the judgment, Employers are no longer obliged to afford an employee a reasonable opportunity to provide reasons why he/she should not be suspended. Prior to this judgment, an Employer was required to notify an employee that the Employer is considering suspending the employee pending the finalisation of an internal investigation or the outcome of a disciplinary hearing. More specifically, an Employer was required to afford said employee an opportunity to advance reasons as to why the suspension should not be implemented, before a final decision was made. In terms of the Constitutional Court’s judgment, Employees, do not have an express right to advance reasons as to why the suspension should not be implemented. 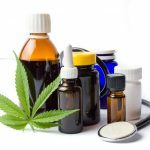 This also means employers are now in a position to impose precautionary suspension in a less encumbered fashion,” Wessels says. There are generally two forms of suspension in the workplace. The first is termed a 'precautionary suspension' and refers to the practice of . . .
Veolia Water Technologies South Africa supplied a package plant for the treatment of water abstracted from two new boreholes at Cloetesville in Stellenbosch. The plant was commissioned in December 2018. The packaged potable water treatment plant (PWTP™ 050) will treat 54 m3 of water per hour, which is fed into the municipality’s bulk water supply. Fabricated in just 12 weeks at Veolia’s Water Techno Packages facility in Sebenza, Johannesburg, utilising off-the-shelf Veolia technologies, the plug-and-play PWTP™ was a cost-effective, efficient solution to rapidly supply the required treatment of borehole water to SANS 241 standards. Water abstracted from the boreholes is pumped through an oxidation tank where manganese and iron are precipitated. It’s then pumped through a set of pressure sand and multimedia filters for suspended particulates removal. The water is then fed through activated carbon filtration, UV sterilisation and final polishing before being pumped into the municipal network. Veolia’s Hydrex™ chemical dosing is included in the various steps for process optimisation. Veolia is currently responsible for an operations contract and is able to supply water treatment chemicals for the plant, independently of the municipal supply chain. CLICK HERE to submit your press release to MyPR.co.za. . . .
Kwikspace supplied 119 prefabricated modular buildings to various schools across Gauteng for the Gauteng Department of Education (GDE). 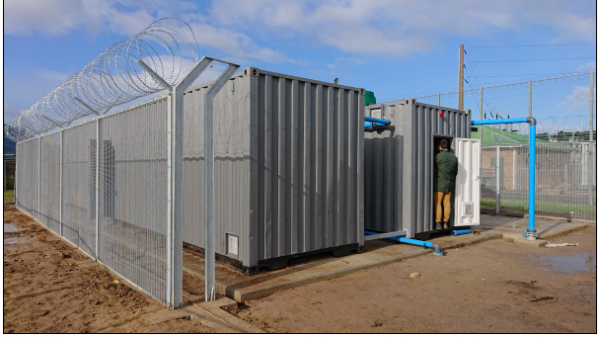 Used as temporary classrooms, kitchens and ablution facilities, these mobile units form part of the GDE’s school expansion project in the province. The project is aimed to ensure there are sufficient structures in place to accommodate the increased number of children enrolled for the 2019 academic year. 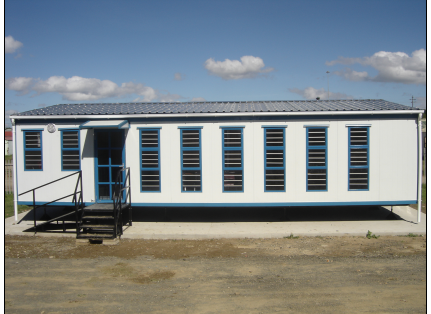 Of the 119 units, 80 are classrooms, assembled from Kwikspace’s double-wide (7 X 7 m) prefabricated modules, 31 are kitchens and eight of them ablution facilities, each prefabricated as single-wide (3.5 X 7 m) units. Delivered to over 70 primary, high and special needs schools along the length and breadth of Gauteng, each unit included the required lighting and plug points, as well as the standard blackboards and pin boards for each classroom. “Kwikspace fitted all the structures with the required accessories,” says Kwikspace Government Sector Manager Kgakgamatso Phatlane. “The external connections, however, were conducted by a third party contractor.” The quota allocated to Kwikspace formed part of a larger 300 modular building order, which the GDE divided among several of its suppliers. 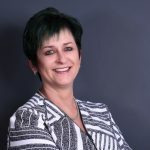 “The GDE experienced unexpected high learner enrolments at the beginning of this year,” Phatlane explains, “driving their decision to be proactive in their resource planning for the 2019 academic year. Because of overcrowding at schools and a backlog of the required number of classrooms, Kwikspace was approached to help alleviate the backlog.” “One of our value propositions is speed to market,” he concludes, “and Kwikspace was, and is, ideally positioned to provide the exact solution required by the GDE within the specified timeframes. The fact that our company is able to play a role in helping to improve the quality of education in our country by assisting with some of the infrastructure requirements, is a feather in our cap and . 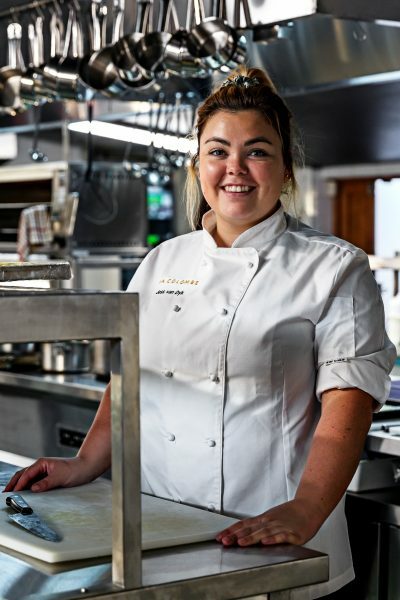 . .
Current Head Chef at award-winning La Colombe, Jess van Dyk grew up in a small town in the Northern Cape. Ever since she can remember, she loved being in the kitchen with her mom or skimming her grandmother’s simmering pots of jam. Her grandmother was a phenomenal cook, and while visiting during holidays all the grandchildren would bake various recipes from her amazing cookbooks of their own choice. Growing up in a typical Afrikaans family in the platteland, Jess’ family loved dining out, but never at fine dining or foodie restaurants, as there was nothing of that sort where she came from. When she was 12 years old, Jess became obsessed with all the amazing BBC Food programmes and chefs. That’s where her love and interest for food grew to a whole new level, and when it came to choosing a career path, nothing stood out as clearly as her desire to become a chef. In 2009 Jess’s dad secretly emailed Silwood School of Cookery, and within three months she was enrolled. She moved to Cape Town and fell in love with the restaurant industry. It was the first time she was exposed to places like La Colombe, which had been voted number 12 in the world at the time. “I immediately knew that I had to work there at some stage of my life, and when the time came to choose a 1st year block and do a few shifts in industry, the writing was on the wall. I fell in love with it, the technique, precision, discipline and dedication that came with it,” says Jess. When asked what it is that drives her to succeed daily, Jess comments, “Pushing myself to be better, and in the process, inspiring the young chefs and students around me. I want to be the best version of myself as a chef and person.” After completing her Grande Diploma at La Colombe in 2012, she stayed on, and quickly climbed the ranks. In early 2014, at the age of 23, she was appointed Sous Chef. In 2015 she left to see what else the food industry had to offer, and after doing a short stint as a private chef, Jess joined . . .
Omaha, Nebraska, April 01, 2019 -- FTB Pathway Publications is thrilled to reveal Pathway to the Stars: Part 6.1, Trilogy by Science Fiction & Fantasy Author Matthew J Opdyke. This innovative Science Fiction Saga is a compilation of the Pathway to the Stars Space Opera booklet series, Parts 4-6. Conservatives and liberals alike will be astounded by the steps Eliza takes, with her growing cadre of technological and scientific superheroes, and their sprawling tech cities from Mercury to the Oort Clouds that cradle our Sun's planetary structure. In this text, together, they pursue more critical aspects in the delicate preparation of humanity, so our civilization can successfully sojourn beyond the outer reaches of the Solar System! Climb aboard Vesha Celeste's journey and witness the development of the Universal Party, by Eliza Williams and the many members of her growing organization of Pathway. Eliza in her many quests also recruits Amber Blythe as well as her unique talents. Amber in-turn has the opportunity to become a biotech hero helping her in her quest to heal and draft Erin Carter. Yesha Alevtina helps Vesha explore the many aspects of this historically epic journey to help her understand a fuller potential. This trilogy digs into ideals, ideas, and capabilities that will help all of humanity to have that option to have a sense of shared ethics, live for a long, long time, and span the Cosmos! In their missions, Pathway citizens find a common and shared purpose amongst themselves, as they prepare to meet the various civilizations living throughout systems of the many vibrant stars we see while preserving the life-giving qualities of our magnificent Universe! Enjoy this trilogy and be a part of this fantastic and possible future. Let's also ask ourselves, how can we begin? Moreover, what are our motives, our goals, and when should we make it all happen? "We need to overcome our apparent fixation toward and acceptance of suffering, misery, and . . .
Sonic Solutions Ltd are pleased to announce the appointment of Ben Peacock as their technical sales manager Andrew Taylor MD at Sonic comments. “We are delighted to welcome Ben Peacock as our technical sales manager to support our continuing growth. Ben’s role will be to support our growth into the power generation, oil & gas, and print industries by showing the benefits of ultrasonics and the level of service we can provide to these sectors. CLICK HERE to submit your press release to MyPR.co.za. . . .
South African Library for the Blind celebrates 100 Years of existence Grahamstown, 29 March 2019 – The South African Library for the Blind (which is the only Library servicing blind persons in Southern Africa) celebrated 100 years in operation on Thursday, 28 March 2019. 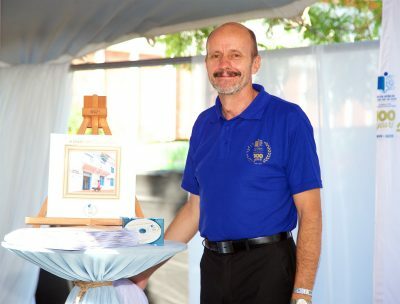 The day kicked off with a book launch of the book titled South African Library for the Blind – A Dairy of the Library. The book is the library’s first internal publication and it seeks to commemorate and celebrate the history of the library since inception. The day culminated in a gala dinner being hosted in Makhanda to commemorate this milestone. The library was founded during the height of the 1918 global Influenza pandemic by a local nurse, Josephine (Josie) Wood established a small library in a little room in her house in 1919. “The growth since then has been tremendous. We currently have mini-libraries in each province to service the local communities, with our primary focus being on providing equal access to information in accessible formats that improves the quality of life of blind and visually impaired people, at absolutely no cost to the user. The library is an entity of the Department of Arts and Culture and we would like to acknowledge the impact that the department has made on the lives of blind people,” said Francois Hendrikz, Director, South African Library for the Blind. “We further extend heartfelt gratitude to our keynote speaker, the honorable Adv Tshililo Michael Masutha (MP), Minister of Justice and Correctional Services, who promises to further advocate for the rights of blind people,” he added. Dr William Rowland, the Chair of the SALB Board handing over a copy of the book to the honorable Adv Tshililo Michael Masutha (MP), Minister of Justice and Correctional Services. Dr Rowland said the book launched by the library made history as it was launched in braille, audio and electronic format simultaneously. “As a member myself, having joined when I was 8, I can . . .
No job? Hate the job you in? Consider a career in the call centre industry! Are you among the 27% of unemployed South Africans? Stuck in a position with no opportunity to grow? Perhaps you should consider a career in the booming call centre industry! South Africa’s contact centre sector is developing at a rapid pace due to growing telecommunications infrastructure, government incentives and first-class, cost-effective customer service. “In South Africa, there are more than 210 000 agents working in the call centre industry,” says Jacques de Beer, Managing Director of Talksure, an international contact centre located in Umhlanga. Call centre agents handle incoming or outgoing customer calls for a business. It is their responsibility to increase customer satisfaction through the handling of sales, enquiries, complaints or support issues. And, it’s certainly not as boring as you might think! In fact, starting your career in a call centre could change your life. De Beer tells us why: 1. Earning potential Call centre jobs offer a higher salary than most entry-level positions and, in many cases, include additional benefits such as subsidised medical aid, life insurance and contributions to a pension fund. If you work in sales, there is the opportunity to earn uncapped commission on top of your basic salary which makes your earning potential far greater than similar roles. Most businesses also offer additional financial incentives for reaching specific targets. 2. No tertiary education required There is no barrier to entry when it comes to the call centre industry. All you need is a matric certificate and a good work ethic! 3. Gain valuable experience Working in a call centre is a great opportunity to develop new skills and gain valuable experience. You will learn how to communication effectively, telephone and email etiquette, customer service, sales, and multi-tasking. As you grow in confidence you may have the opportunity to be creative in solving customer problems and addressing their needs. When dealing with a specific . . . The prestigious Bokeh South African International Lifestyle and Fashion Film Festival is offering the chance for aspirant creative talents to win a whopping R50 000 through their Emerging Creative Talent competition. Year on year this unique festival has grown in stature, recognition and initiatives, with an increasing emphasis on enabling young local creatives through fringe events such as workshops, mentoring programmes and of course recognition and prises through the prestigious awards events and the Emerging Creative Talent competition. The sixth edition of the festival, in partnership with the Gauteng Film Commission, invites all South African creative students to create a team and submit their short film pitch/treatment to Bokeh FFF by the 7 April 2019, and stand the chance to be one of the 10 lucky teams to be selected to create an award winning fashion film. Those 10 films will then be screened on a worldwide stage at the upcoming 2019 Bokeh South African International Lifestyle and Fashion Film Festival, with the winning film being awarded the main prize on the night. The directors will also be given the opportunity to present their films at the festival’s directors’ workshop and viewings in Cape Town. Says, Bokeh Founder Adrian Lazarus: “We are excited to offer this life changing opportunity to the unbelievable talent that we have in this country and we’re keen to see how they interpret this year’s theme, which is - The City Super Hero.” Film students and new creative graduates who would like to enter will need to select a creative collaborative dream team in the following disciplines; fashion, film/video, copy writing, make up, hair-styling, editing and special effects, production, acting and modelling. The top 10 teams will be announced on the 10 April and be assisted by Bokeh FFF to create a fashion film masterpiece. So young creatives and recent graduates what you waiting for? It’s time to get your creative juices flowing and . . .